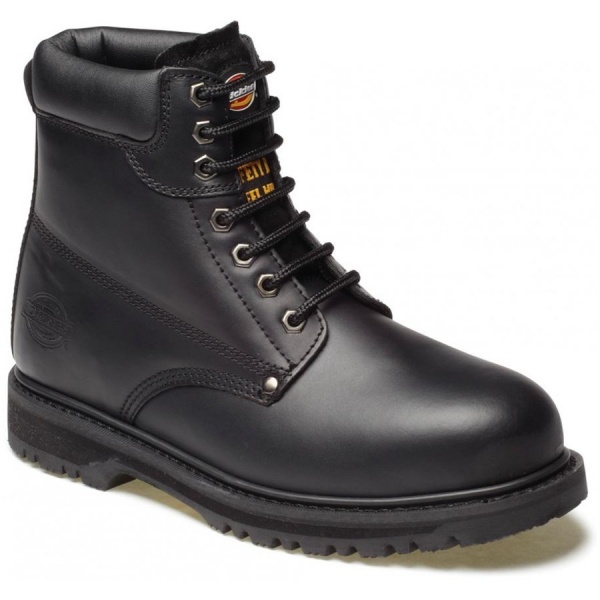 The Dickies Cleveland Safety Boot has been a best selling safety boot for numerous years. Synonymous with support and protection, this boot has been ergonomically designed to provide long lasting comfort in all environments. 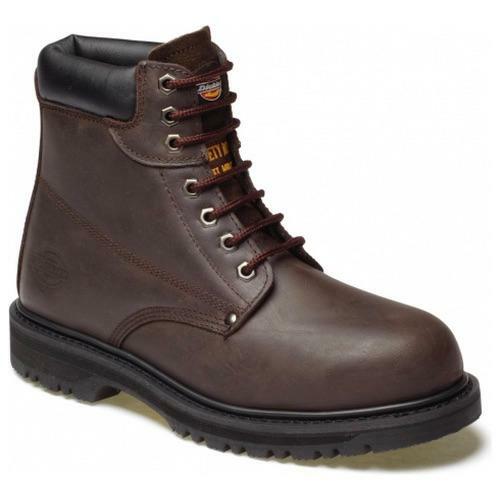 With a padded collar and tongue, breathable padded lining and supple leather upper. 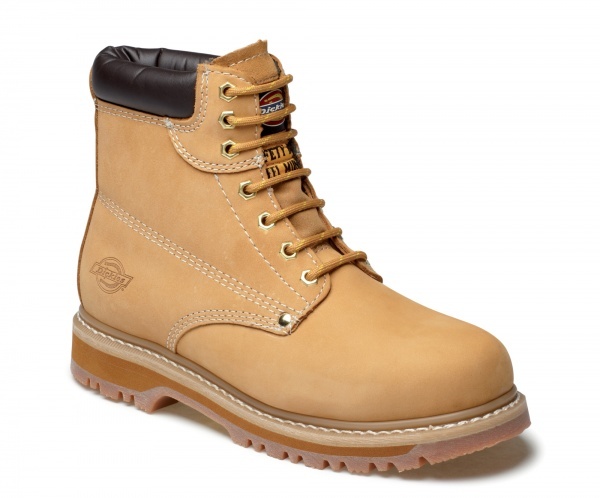 Steel toe-caps and midsole protection and a sole unit that is heat, oil and slip resistant provide ultimate protection.